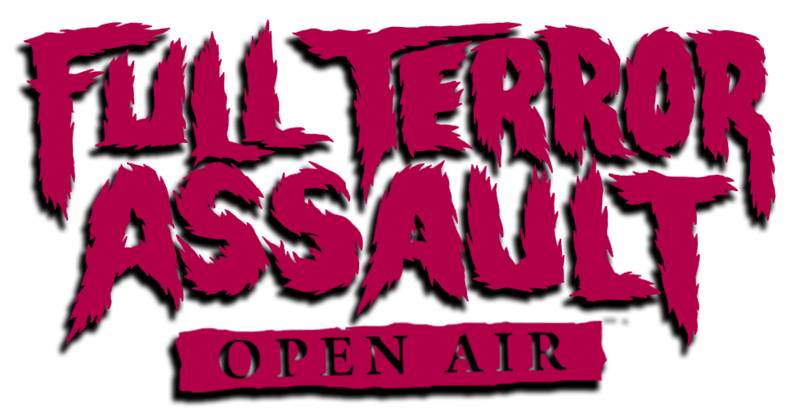 In less than three weeks, California thrash metal band Warbringer will be taking the stage at Full Terror Assault open air. Before you see Warbringer slay the stage as the headlining act at our pre-party show, check out vocalist John Kevill’s best tips for festival camping, as well as learn more about his ideal metal camping fest and his progress as a collegiate history student! Your latest record, Woe to the Vanquished, was important for many reasons. In addition to featuring a reconstructed lineup, this album also demonstrates how your sound has evolved; many fans regarded this past release as Warbringer’s best thus far. John Kevill: So do we! I feel like Vanquished is a real step up for Warbringer, beyond anything we’ve done beforehand. How do you translate this “evolved” lineup and sound to your live shows? JK: It translates quite well, we can play the record live note-for-note. The band has a high expectation for its musicians, and the end result of all the shuffling is that we are able to get the entire band to a point where each member just nails it individually and as a group. The newer songs go over excellent;, there’s a lot of songwriting and musical dynamics on there that people can really grab onto easily in the live environment. Stuff like the end part in the title track, the “Incoming!” break in “Shellfire,” and even the 11-minute “When the Guns Fell Silent” carries over well live. Woe to the Vanquished was your first album recorded with Napalm Records. What was it like to work with a new label on such an important release? JK: Honestly, not too different from before. We had no issues with Napalm, they were professional and supported the recording of the album fully. Since then they have been solid and I really cannot complain. Before Full Terror Assault, Warbringer is touring Europe. How do you, and perhaps the rest of the band, prepare for long tours? What are the highlights/low moments you usually experience? JK: There’s only so much you can do, it will basically wreck you and you just have to handle it. We rehearse before, of course, and I began some physical conditioning recently to try and handle it better. A thrash show every day followed by several hours of travel is rough on the body, so being healthy in physical shape, activity level and paying close attention to food is key to keep up the standard of performance. The highs are usually on stage, the lows are in transit. How are European festivals different from the American festivals you’ve played? Not much, the real difference is regularity. Europe has been consistently having a continent-wide circuit of heavy metal festivals for decades, where in America there are just a couple. This changes a lot; in Europe, there’s a number of people who spend much of their summers camping at metal festivals because there are regularly enough festivals to do that. Let’s switch gears to Full Terror Assault. FTA is just over a month away. Will you be camping? If so, what are your top three camping essentials? JK: No, we are flying in. I used to do backpacking when I was young, which is really different. Important things there include bear-proof canisters to keep food in and lightweight camping stoves and food, etc. For festival camping, ideal stuff includes a grill, a cooler, and plenty of beers in said cooler. As a fan, who are you most excited to see at FTA? JK: Demolition Hammer! Big influence on our music, and not a band I’ve seen since they began playing again. Many metal fans might argue that nothing beats a BYOB camping extreme metal fest. What would your ideal metal festival look like? JK: Metaldays in Slovenia for venue, up in the wooded mountains by the Soca river. I got married in the region the day after we played in 2017 and apart from the amazing natural setting there, I have a lot of sentimental attachment to that place. Abbath was a jerk to me that day though, which was a bummer because I like Immortal. Hate when that kind of stuff happens. One final question! Personally, I love to read interviews you’ve done where you discuss your passion for history. How’s the history degree going? JK: I’m just over halfway done with my bachelors degree and I will be enrolled in classes during FTA. I seem to do very well at historical writing, and I think I have a strong future here. A lot of the history I aim to teach has to do with the lyrics in various Warbringer songs. Thanks man! Looking forward to your set at FTA! JK: Looking forward to playing! As always, we aim to be the most vicious live band anyone has ever seen, and on raising the bar for thrash metal in the 21st century.